Our Frescor juice bottles are manufactured from high quality clear glass, in the following sizes: 200ml, 250ml, 500ml, 750ml and 1 litre. They come with twist off metal lids, in gold or silver, which contain an inner rubber lining to create an airtight seal, suitable for acidic products. 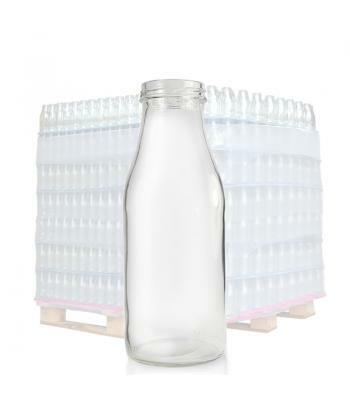 Frescor bottles offer a retro design, with a wide 38mm (200ml and 250ml) or 48mm (500m, 750ml and 1 litre) neck size, for easy filling and dispensing. They have a thermal shock temperature of 42°C and a minimum impact resistance of 35 pul/seg. The 250ml and 290ml (E) glass juice bottles also have a 38mm neck size, with a light gold metal twist off lid which is also rubber lined. 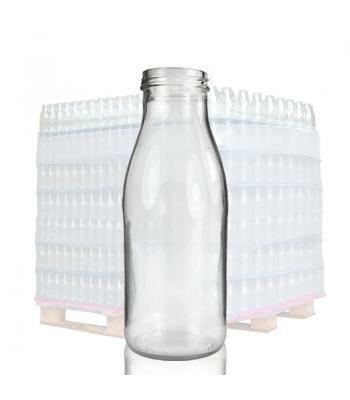 They have a more distinctive shape than our Frescor bottles - the 250ml having an elongated, faceted neck and the 290ml having rounded shoulders and a concave upper body. 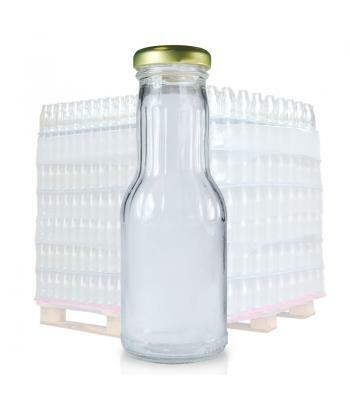 As well as fruit juice and other soft drinks, both these and our Frescor bottles are well suited to cooking sauces, dressings, marinades and many other food and drinks. 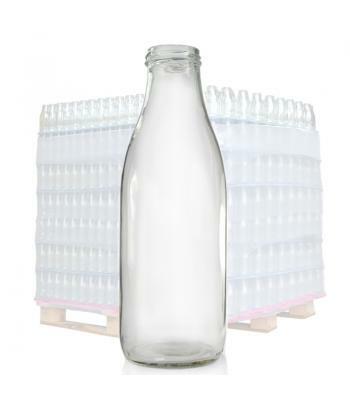 You can put your brand stamp on these bottles by adding your own labelling, to make them stand out on the shelf. With a choice of sizes available, you can create a range of convenience juice drinks or sell one size of a particular product. As well as their traditional use, these glass bottles are also suitable for selling in craft shops, for wedding favours or decor.